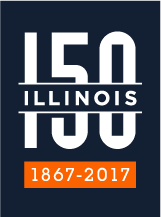 A fundamental mission of the University of Illinois Department of Atmospheric Sciences is to provide comprehensive educational opportunities for graduate students through direct participation in the advancement of our scientific understanding of the atmosphere. The Department has been at the forefront of research and education in the atmospheric sciences since its inception in 1982. We offer a unique and varied program of graduate training and research, built around the fundamental scientific tools of our discipline: observation, modeling and theory. Our wide-reaching research initiatives encompass a full range of scientific inquiry as you will see in the pages that can be reached from the links above. You can be part of this exciting journey of discovery!